In November 2015, I boarded a one way flight to Australia. Now being back in the UK for over a year now, I have realized I am not the same person I once was. I cannot say travelling has made everything clear to me or given me the answers to life, but it has changed me, my mindset and my outlook for the better. It is a cliché saying “Travelling Changes You” – but it is a statement that holds truth. And it doesn’t matter how long your gone for, even the shortest amount of time can have the biggest impact. I fell in love with life again – It is easy to get into a routine and not appreciate life fully. Just from trying new foods, seeing new places and embarking on new experiences and adventures, it opened my eyes to the beauty that surrounds us, full of so many possibilities. I embrace and accept difference – I met so many people from different countries, different backgrounds, with different beliefs and even though we may all be different in our own ways, we are really all just human. It has taught me that the people you think you would least gel with become some of your closest friends and they actually end up teaching you a lot. I trust myself to make decisions solely on my own – Before travelling, I would always ask other people’s opinions on decisions that I needed to make, and their advice would always end up influencing me in someway and somewhat make me feel more confident in the choices I was making. Time difference alone when travelling stopped me from being able to do this, well unless I wanted to call my friends and family at 3 am (which I did contemplate a few times) – but I have learnt that I can make decisions and choices without the influences of others and I now trust myself that I can solely alone decide what is best for myself and for my life. I grew some balls!- I did things I never would have before. I jumped out of planes, snorkelled (and I am petrified of the sea!) , took on activities I would have been to scared to do before! Scaring yourself, makes you ultimately feel more alive! I put myself out there, I made conversations, said yes to things I would usually say no too, and with that I discovered a whole new confidence within myself! I now take risks – I was bored of life, in a rut and completely uninterested. So, I took a risk, I booked a flight and left everything I knew behind and headed for the unknown. Was it scary? Hell yes! But I had the absolute time of my life. Its opened my eyes that sure, taking risks and the unknown is a pretty scary scenario, but from it opens up something AMAZING. I got to know me again – When we live the same routine 247, we can lose sight of our interests and of ourselves. Being away from my routine and the people I know, I had time to focus on me. I started to remember what I enjoy, what I am passionate about, what I like, what I don’t. I got the quality time with myself that I did not have for so long. 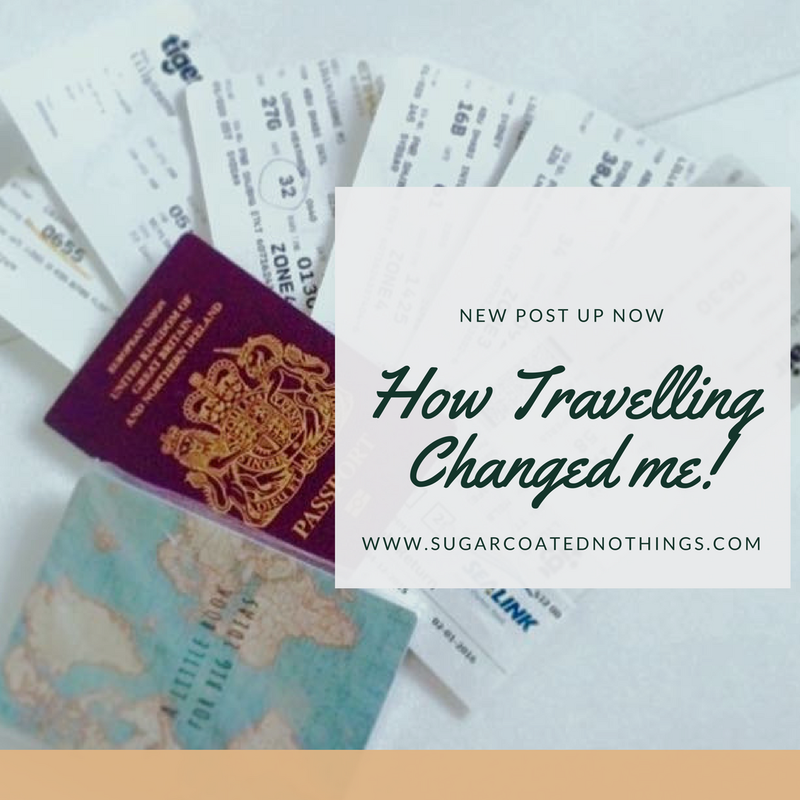 So how has travelling changed you?